For journeys to remember. 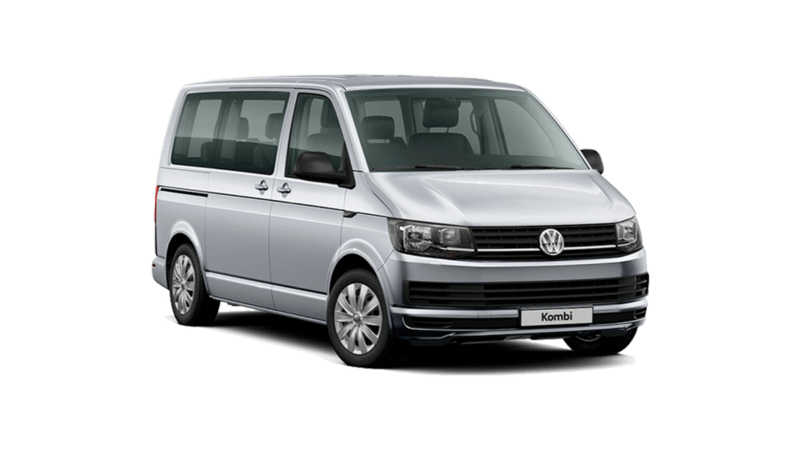 Kombi. A holiday isn’t a holiday without one. 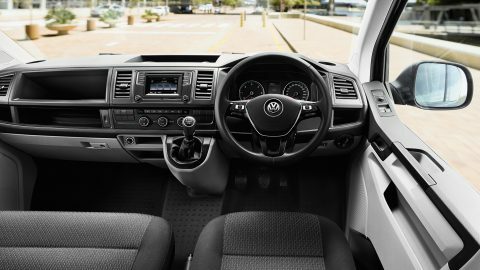 The interior with an optimised storage system enables you to concentrate completely on the road, knowing everyone is happy in their seats. The high-quality materials, carefully combined with top-class finishing, add to the comfortable atmosphere. It’s almost as if the family living room is on the road. The cleverly thought out storage system ensures that tablets, toys, blankets, and all the paraphernalia that comes with having a family, are within arm's reach in open storage compartments. Adding to the driver’s comfort is a height adjustable driver’s seat with lumbar support. The instrument cluster with multifunction display shows all the important information, along with current vehicle data, such as the range, driving time, outside temperature and gear recommendation. To the last detail. The interior with a user-friendly storage system. 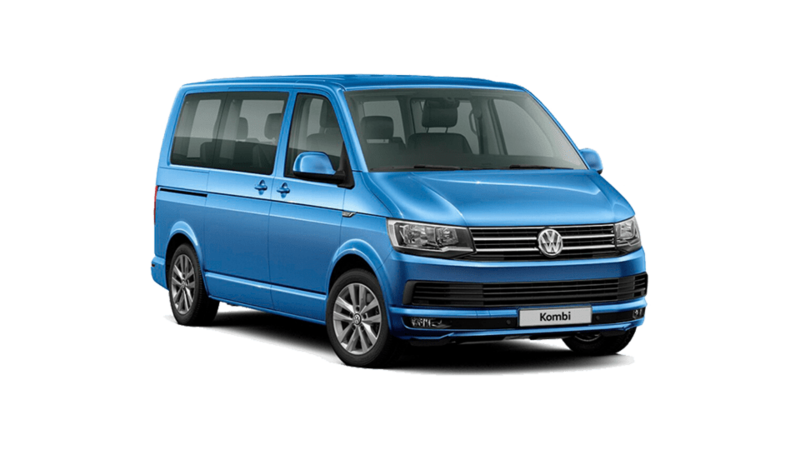 The modular mounting system comes standard and enables seats to be easily repositioned for 8-passenger trips or longer journeys with a lot of luggage. The 3 seats in the second row have individually folding backrests and Easy Entry on the outer seats for passengers getting into the back. From beach umbrellas to camping gear, the rear double-folding 3-seater bench seat is especially practical, and can expand the luggage space in a matter of moments, so everything can be loaded. 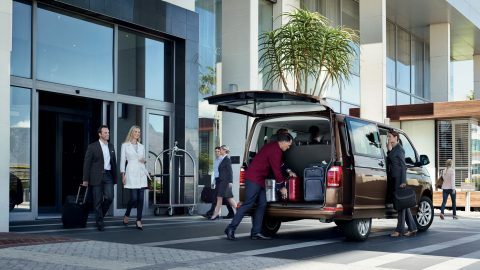 The tailgate’s large opening height provides plenty of space for loading and unloading the luggage compartment, and serves as a convenient shelter in wet weather. We’ve paid attention to all the little details as well. 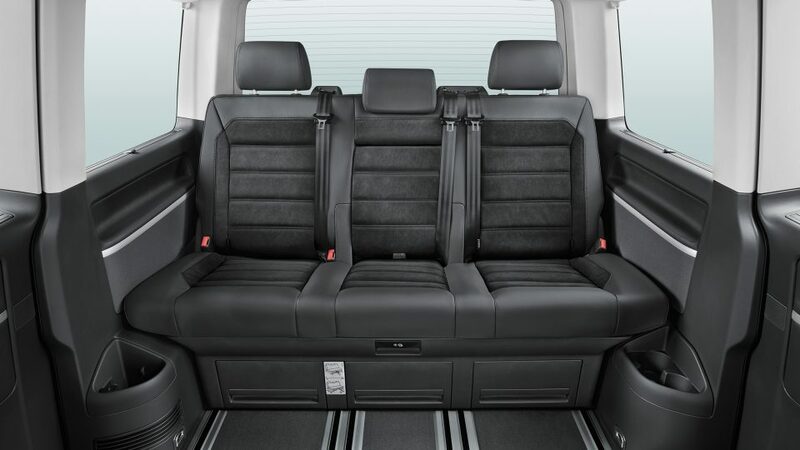 The new passenger compartment is the ideal solution for families and friends who enjoy their space. This includes high-quality materials and excellent workmanship along with convenient reading lights. 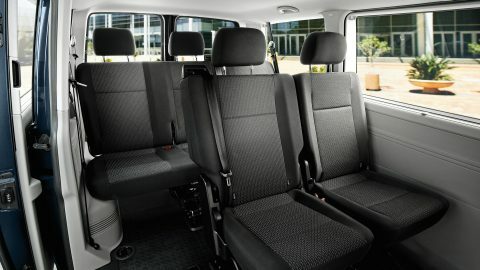 The Easy Entry function on the outside seats in the second row provides especially comfortable access to the third row of seats. So kids do not have to climb over and granny can sit wherever she likes. 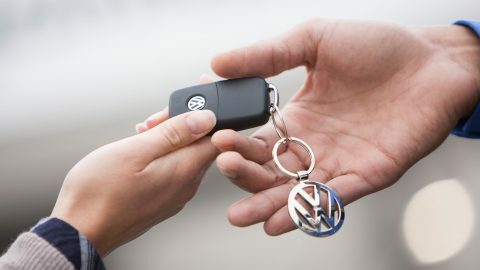 The Easy Entry seats can be folded forward and are fitted on both sides of the vehicle, along with two sliding doors. 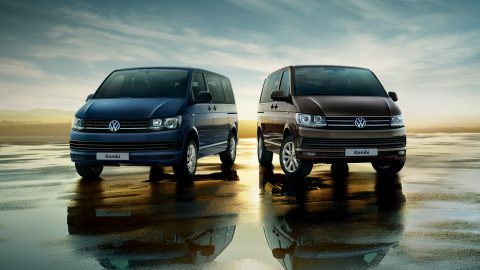 The upholstery immediately creates a comfortable ambience so passengers can sit back and enjoy the journey. 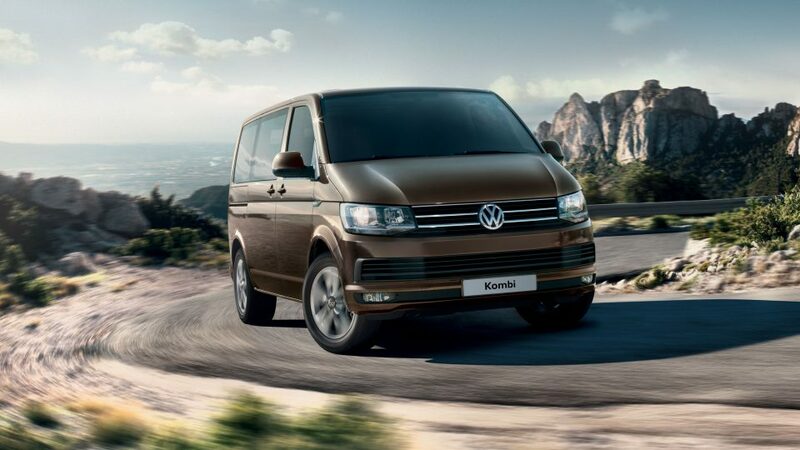 The Kombi’s excellent noise insulation keeps exterior noise where it belongs: outside. And if your holidays tend to go with a few sing-alongs: the sound will stay inside.